The Microwave Sounding Unit (MSU) Upper Troposphere Temperature product (MSUUTT) provides gridded upper tropospheric temperatures derived from MSU instruments on several different platforms. 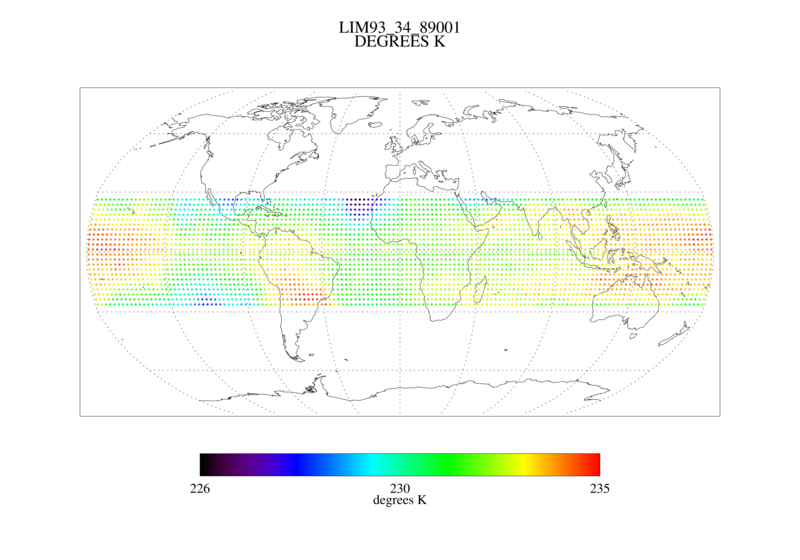 The temperatures are derived using a combination of MSU channels 3 and 4 which has an averaging kernel that peaks near 250 hecto Pascals. The algorithm is based on Spencer and Christy (1990) with the LIMB 93 limb correction based on latitude, longitude, month, and scan angle. The MSU instruments measure the thermal emission of radiation by molecular oxygen at four frequencies near 60 GHz. North (south) of 66.7N (S) the footprint data are assigned to grid boxes in a weighted method depending on footprint latitude. Horizontal averaging is used to fill some of the empty grid boxes. This is an MSU legacy data guide. Some information may be obsolete. Created by: Spencer R., Christy J.R.